Opening in early 2020, the waterfront Luminary Hotel & Co. will soar 12 stories above downtown Fort Myers, Florida, as the area’s first hotel in the prestigious Autograph Collection® of Marriott International. More than a hotel, Luminary will serve as a hub of excitement and discovery – a focal point where locals and travelers tap into the collective energy of a city, and a story, begun by a brilliant cast of audacious local luminaries. 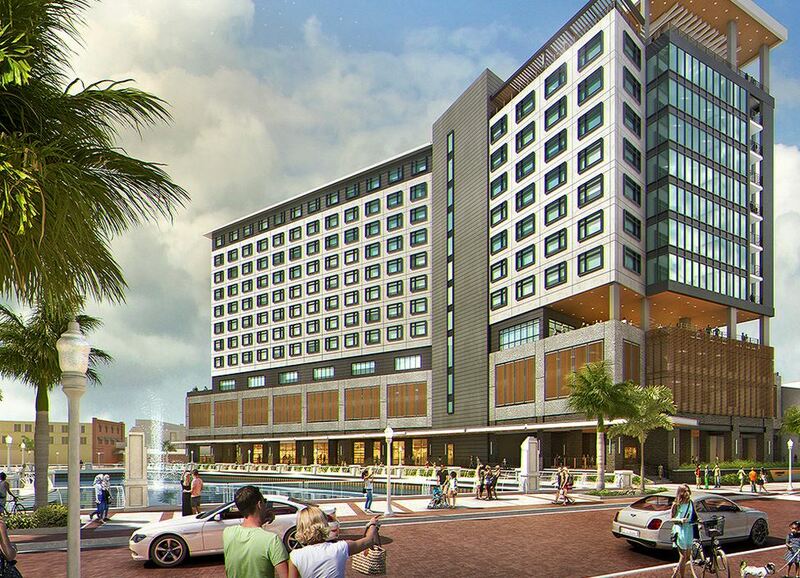 Overlooking the Caloosahatchee, Luminary Hotel & Co. will feature a wide array of guest amenities, flexible meeting and event space and unique dining and retail outlets. The term “Luminary” is a head nod to Fort Myers’ most famous resident: Thomas Edison. Collier said they wanted to incorporate the famous inventor somehow, but wanted to avoid the obvious “Edison” name. Fresh and modern in design, the hotel’s 243 guest rooms and suites will be both technologically innovative and comfortably appointed, surrounding guests with warm, natural tones, clean lines and all the amenities to make road warriors, conference attendees or weekend romantics feel right at home.Guest room amenities will include complimentary Wi-Fi, flat screen TVs, artisan pantries with gourmet coffee service, luxurious bedding dressed with crisp duvets and fluffy pillows, while upscale bath products and rain showers will add a touch of indulgence. Luminary will house 8,000 square feet of adaptable indoor and outdoor function space ideal for a variety of events and meetings. 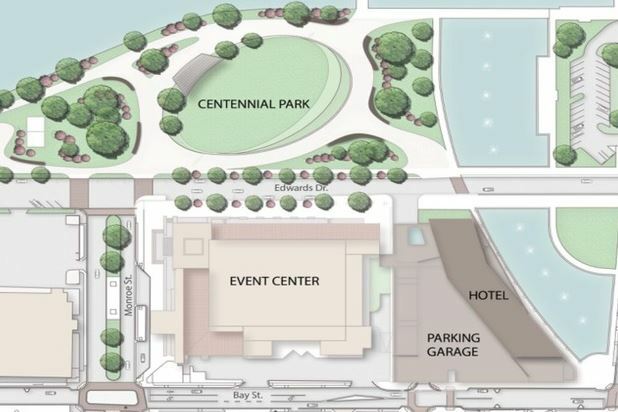 The hotel will also be connected to the neighboring Harborside Event Center, currently being renovated for a 2020 grand opening. When complete, the facility will offer 40,000 square feet of function space. Guests of Luminary Hotel & Co. will have ample options to explore their culinary curiosity – from a signature restaurant and rooftop bar, to a casual streetside diner and lobby lounge. The Silver King Ocean Brasserie –“Silver King” is the nickname of the tarpon – the glimmering gamefish which have long drawn avid anglers to the waters of Fort Myers. Borrowing this noble name, the hotel’s signature restaurant will showcase the quality of fresh seafood through clean, simple preparations using classic technique with a modern palate. Ella Mae’s Diner – Located on the hotel’s ground floor with access to Bay Street, Ella Mae’s will give a welcome twist to the classic all-American diner, where inspired chefs put a lighter touch on a lineup of traditional neighborhood favorites. It’s here the community will come together to shares stories as they enjoy this soul food with finesse. The Workshop – The Workshop is the hotel’s state-of -the-art culinary theater, where the community and guests will be encouraged to innovate, experiment and collaborate. With stadium style seating, The Workshop will be available for private functions, in addition to hosting a lineup of hands-on classes, presentations and demonstrations, as well as sessions showcasing the skills of local, regional and national chefs. Beacon Social Drinkery – Twelve stories up, this rooftop bar will light up downtown Fort Myers with a dizzying selection of craft cocktails, fine wines, craft beer and champagnes, served alongside a refreshing menu of small plate specialties, high above the Caloosahatchee.